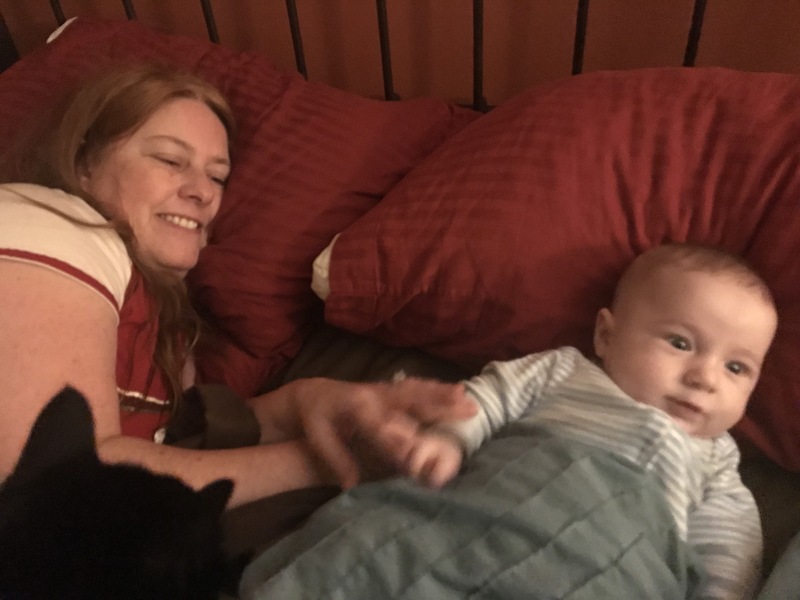 With the exception of the one night before Christmas Eve, when Candy took William up with her to give Matt and I a night to sleep without distractions, William has always slept in the same room as me. He’s slept in his bassinet and in a portable crib. I’ve nursed him on our bed,yet never let him be bundled up onto our bed. One night I’d finished nursing William when Matt suggested we let him get under the covers for just a few moments. William really seemed to like the experience and got comfortable very quickly. It was a great moment for both of us, though it really made me wish we did cosleep with him. 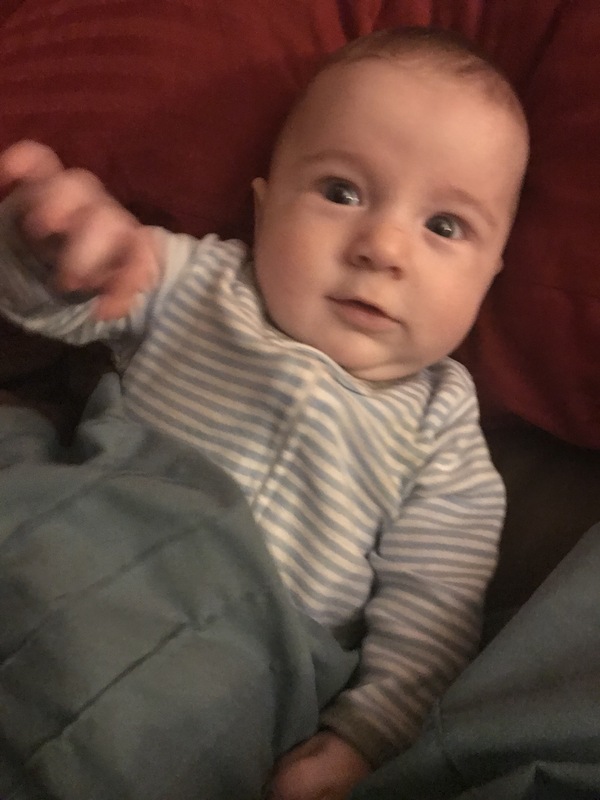 Matt and I have discussed it and I know there are risks of rolling over onto a baby or him falling out of bed, both unacceptable scenarios. They make cosleeping units including those with a metal insert so it’s almost impossible for the former to occur. 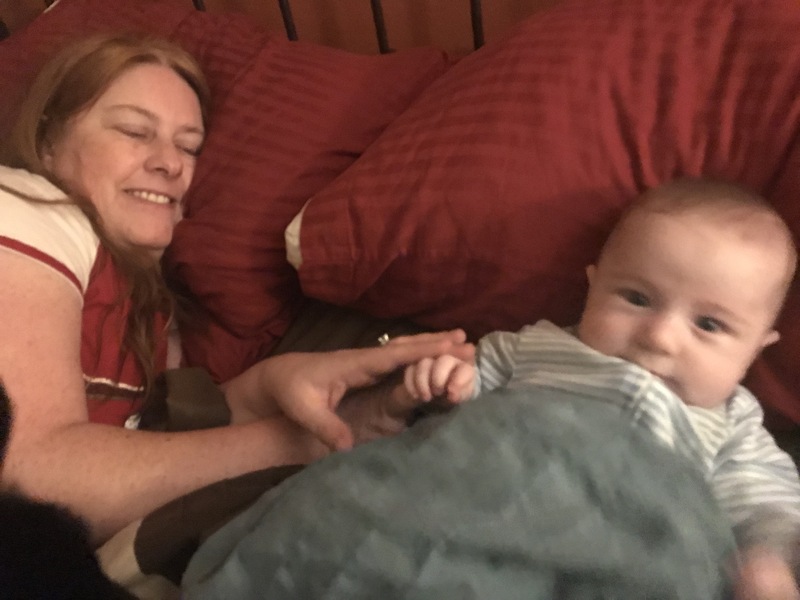 His godmother, Kristi, cosleep with her son, Tyler, without any problems that I know of. Still, as of today, we won’t be doing so with William and won’t unless we find a fool proof way of doing so that we both agree on. So moments like this, when I’m awake and not planning on drifting off to sleep, are as close as we’ll get. All too quickly it was time to put him back in his bassinet. 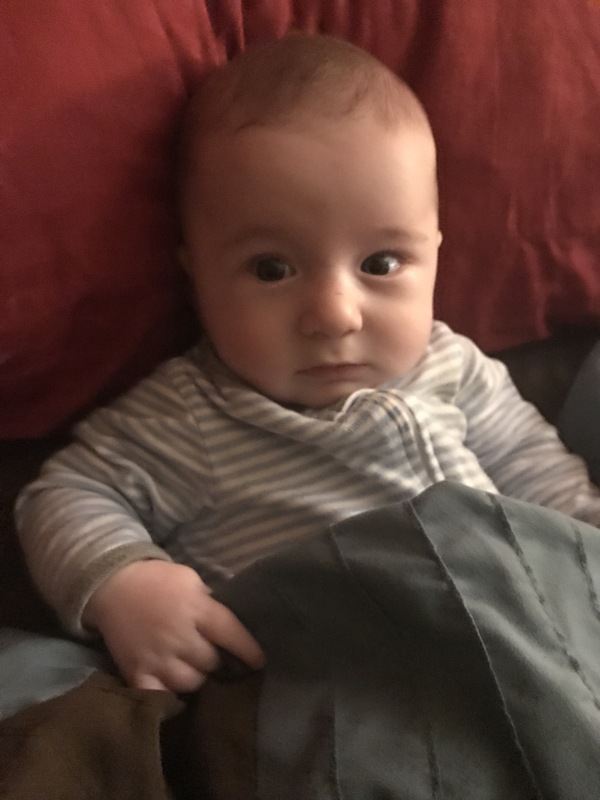 Despite having a nice bedspread and pillow to help make him comfy (things that doctors don’t advise putting in with infants in their bassinets and cribs), he fell asleep relatively easily.